Backpacks have come a long way since those bulky canvas versions ruled our middle schools. In sleek shapes, interesting textures, and punchy colours, these convenient carriers have become statement-making accessories. Whether you’re still in school or already in the workforce, your wardrobe could certainly benefit from the addition of a fashion-forward backpack, which offers a fun, practical alternative to shoulder bags and totes. Scroll down to shop our nine stylish picks! 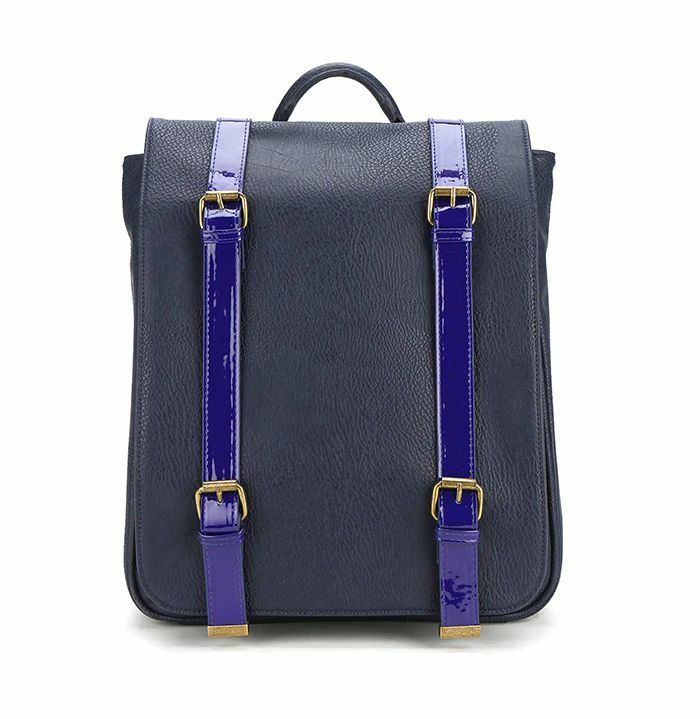 Patent leather straps add a stylish detail to this vegan leather backpack. This glossy Harper Ave bag comes in a sophisticated cream shade. This striking red Tory Burch bag comes with plenty of interior compartments for easy organisation. The clean, minimalistic look of this backpack makes it perfect for carrying from class to after-hours drinks. This bag features gold hardware and a structured silhouette that’ll have you feeling almost too cool for school. The addition of neon fringe makes this a playful and stylish choice. The best part about this cool carrier? Its deep blue shade is surprisingly versatile. This blacked-out bag is shaped like an ordinary school backpack, but its pebbled texture makes it way more stylish. Take the jean-on-jean look to a new level with this sporty version.